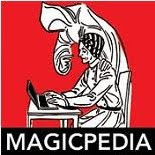 Carnegie: Magic Detective: DC Magic History Conference THIS WEEK!!!! 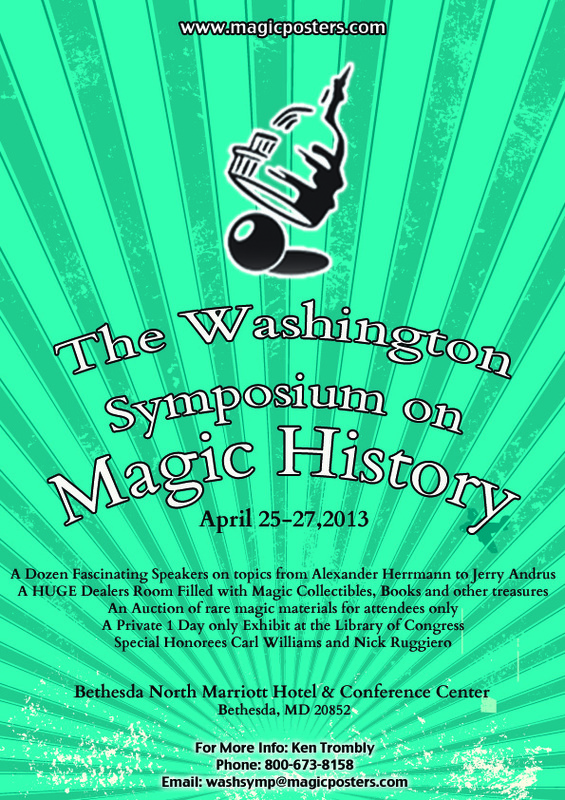 DC Magic History Conference THIS WEEK!!!! 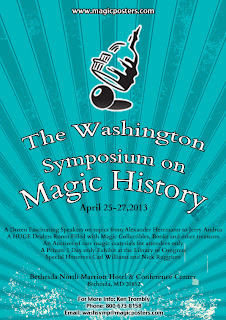 Hi Friends, One more reminder about the Washington Symposium on Magic History which starts this week, on Thursday April 25 to be exact. It's going to be GREAT! There are a lot of exciting talks in store and the list of folks in the dealers room is amazing! OH, and yours truly will have a booth in the dealers room with my paintings for sale and info on the Magic Detective. 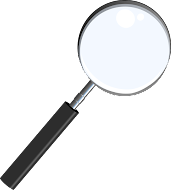 I'll also be doing a lot of networking to set up interviews with folks for future episodes of The Magic Detective Youtube Show which I hope to start back up very soon. So, if you've not yet signed up, please do so....(if you love magic history that is). And if you are attending, please be sure to stop by my booth and check out the artwork and even BUY some if you want! I rarely sell my paintings but I've recently decided to move some of the older pieces to make room for the new stuff. I hope to see you there! Good luck Dean! Hope it goes well. Oh I'm very much looking forward to it. There are a quite a few Houdini folks that will be there! At least two talks on Houdini and the Library of Congress Visit will likely be heavy on Houdini as well. But I'm also looking forward to the talk on Herrmann the Great, the Davenport Brothers and Jerry Andrus. I'm going to miss two speakers during the conference because I have to leave to do a show. But other than that I'll be like a kid in a candy store!